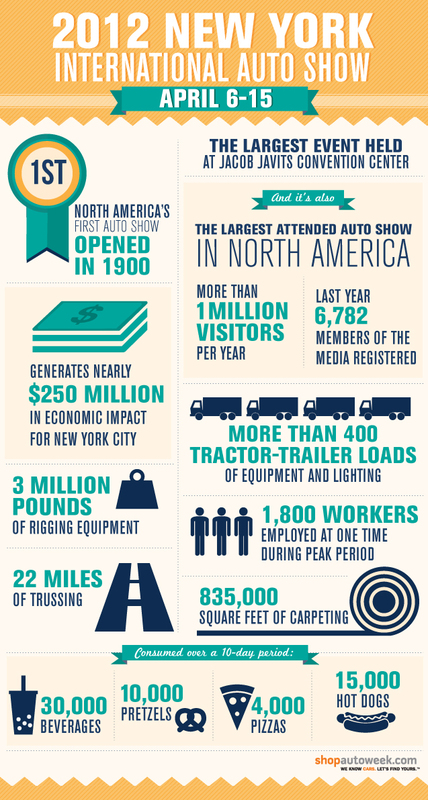 When it started in 1900, the New York International Auto Show was North America’s first auto show. Now, it’s also the most attended, with more than a million visitors per year packing in to see the latest and greatest in automotive technology and culture. What exactly does it take to pull off something so huge? This infographic illustrates the social and economic impact of the event.